That simple question is often lost among the many controversies facing the ride-services company as it tries to hire a new chief executive and resolve a bitter dispute with the old one, Travis Kalanick. But it may be the most important question of all when it comes to determining the value of Uber Technologies Inc [UBER.UL], which has built its business on massive subsidies to both riders and drivers, producing huge losses in the process, and it has yet to show that it can maintain growth without them. Uber will report second-quarter financials to investors this week, which will offer fresh insight on whether the company can get profitable any time soon. Although private, Uber has started releasing limited quarterly financial data, and in May reported a loss of $708 million for the first quarter, down from $991 million in the fourth quarter. The upcoming financial report will show further improvement on margins, according to an Uber executive, but the company continues to spend heavily on subsidized rides in certain markets. The issue of Uber's valuation is hardly academic amid a boardroom battle over control of the company. Early backer Benchmark Capital has sued former CEO Kalanick and fought with other investors, some of whom have offered to buy Benchmark out. The question vexing everyone is what the company is worth. Benchmark in a series of Tweets earlier this month indicated it believed Uber will soon be worth more than $100 billion. 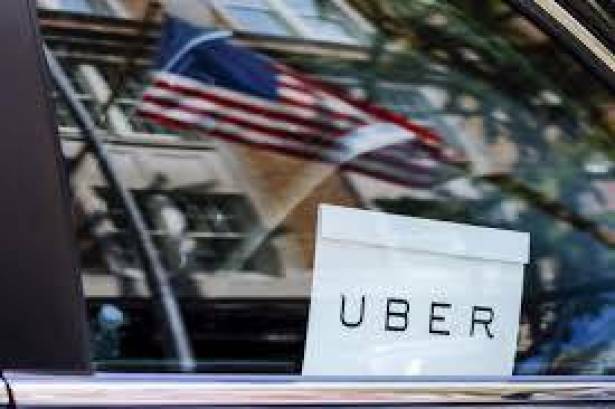 Outside investors contemplating buying Uber shares, however, have indicated they think the company is worth less than its current $68 billion valuation - perhaps much less. Other investors are already discounting company shares. Four mutual fund companies holding Uber investments recently marked down their shares by as much as 15 percent, according to the latest disclosure documents released. Uber's losses stem from its drive to win global market share at almost any cost. That strategy was built on the assumption that Uber could achieve a dominant position in many big cities quickly and eventually raise prices. Kalanick himself said low fares were temporary. But eight years in, the strategy is now in doubt as competition in many markets continues to intensify. Uber must solve the problem of how to eliminate subsidies without losing customers and thereby undercutting its valuation. "There is going to come a reckoning and they are going to have to raise prices," said Brent Goldfarb, associate professor of management and entrepreneurship at the University of Maryland. "But we know what happens when you raise prices - demand goes down, and perhaps substantially so." Uber has raised about $15 billion in funding since 2010, enabling it to discount fares and dole out bonuses to drivers that have at times exceeded $1,000. In 2015, Uber passengers were paying only 41 percent of the actual cost of their trips, according to an analysis by transportation industry consultant Hubert Horan, based on financial statements from Uber. Big discounts continue even in Uber's most mature market, its home city of San Francisco, where as recently as June it was offering some passengers 50 percent off their next 10 rides and $3 carpool rides, a cheaper rate than two years ago. "I've gone crosstown in San Francisco for $12," Goldfarb said. "There is no way that makes economic sense." The Uber executive who spoke to Reuters pointed to a new "upfront" fare system that gives passengers a quote before their ride starts as one of Uber's key strategies to solving its pricing problem. In effect, it provides Uber a way to charge more without explicit per-mile fare increases. The new system also uses an algorithm to better price rides to minimize losses. Someone requesting Uber's carpool service on a route where there are unlikely to be other passengers to share the ride, for instance, will be quoted a higher price so the company does not have to eat the cost, said the executive, who asked not to be named. The executive added that in the last year or so Uber has reduced its blanket subsidies and become better at targeting its promotions to both riders and drivers. In ride-hailing, subsidies are necessary when first launching a new city, investors argue. A company needs lots of drivers and passengers to create a marketplace that works, and offering bonuses and discounts is the best way to recruit them. But subsidies can create an artificial signal about the size of the market: many customers might be using the service only because it is cheap or free. Once subsidies are turned off, "How do you know where the bottom is?" said Bejul Somaia, a partner at Lightspeed Venture Partners, which is not among Uber's backers. Uber already knows that higher prices scare off customers. A 2016 study by economists and Uber data experts found that when Uber alerted passengers that fares had doubled - part of Uber's older "surge pricing" scheme - ride purchases immediately fell by about 40 percent. The Uber executive argued that higher fares would have only a minimal impact on ride volume. Indeed, data from the New York taxi business suggest a modest impact in the United States. Industry research shows that, historically, when cabs raised fares by 20 percent, they lost 4 percent to 5 percent of their customers, said Bruce Schaller, a transportation consultant and former deputy commissioner at the New York City Department of Transportation. "They have room to raise prices," Schaller said, speaking of Uber. "There is no question to me as to whether this can be a profitable business." But unexpectedly tough competitive pressure from Lyft Inc, Uber's chief rival in the United States, has hindered Uber's efforts to become profitable. Uber has steadily lost U.S. market share to Lyft since last October, and now has 78 percent of the market, down from 85 percent in September, according to consumer spending data firm Earnest Research. Subsidies have been especially debilitating to Uber in markets in Asia and the Middle East, where it is up against popular, well-funded local ride-service companies such as Ola, Grab and Careem. In India, a price war with Ola pushed prices down as low as 8 cents per kilometer - even the Uber executive said prices there are too cheap. But there's little sign the company is turning a corner in the subsidies war. When Uber ended expensive driver incentives in the country, drivers went on strike, crippling the service. The region has sucked billions from Uber's coffers, raising the prospect that it could be forced to sell to local partners and abandon some countries, as it recently did in China and Russia.